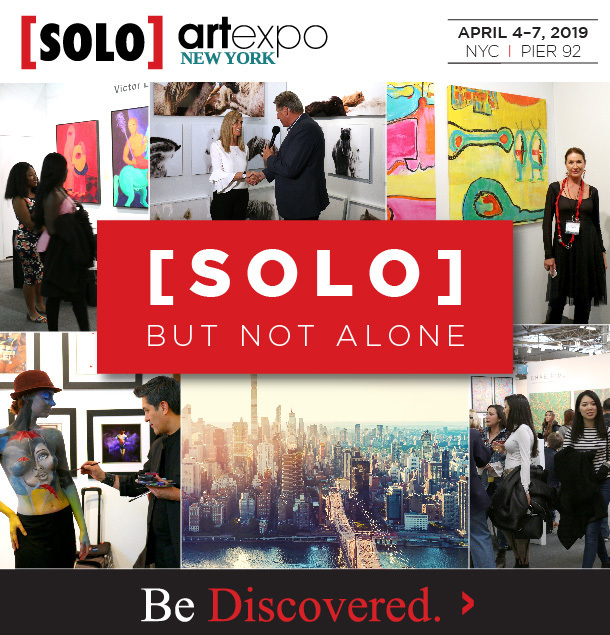 [SOLO] and the Rising Artist Gallery offer independent artists the opportunity to showcase their work alongside mega-show Artexpo New York. But we know it can be a little intimidating to embark on an art show of this magnitude. That's why we're here to guide you every step of the way, from submitting your application and preparing for the event to participating in the show itself and following up afterward. Behind all of our fine art shows, publications, and events, you'll find a hardworking team of art marketing experts who can help you grow your business. Get to know the Redwood Media Group team, and then give Rick Barnett a call at 831-747-0112 or email rick@redwoodmg.com today to plan your path to success. And don't worry: Your comfort level will improve as you gain more experience in the market. The most important thing is to be prepared. Remember, it can take an artist a lifetime to become an overnight success. We look forward to talking to you, and we hope to see you showcase your work at Pier 92 this April 4-7!